The state of Utah sits at the intersection of three major geographical regions: the Rocky Mountains, the Great Basin, and the Colorado Plateau. These very distinct regions give Utah a very diverse landscape and a vast array of natural wonders as well as a huge assortment of outdoor adventures and activities. The mountains in the northern part of Utah host some world-class ski resorts. Utah’s basin region is mostly rugged and arid desert terrain. However, it is home to the Great Salt Lake and the lush Snake Valley. These areas offer incredible hiking trails, bike trails, rock climbing and canyoneering. The Colorado River winds its way through the southern part of the state, offering thrilling whitewater for rafting and kayaking. Salt Lake Tabernacle– Home to the world-famous Tabernacle Choir, the church is open daily for tours, organ recitals and rehearsals of the choir and orchestra. 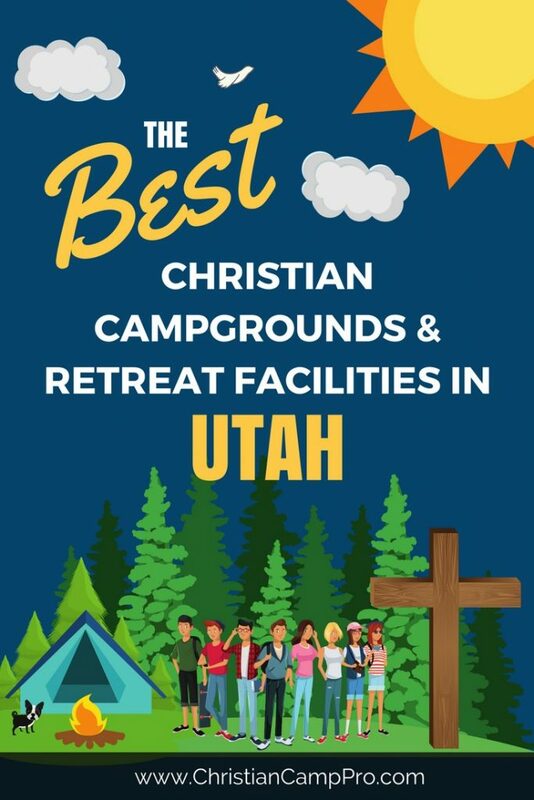 Christian Park Ministries- Several of Utah’s national parks have Christian ministry groups that offer leadership training as well as fellowship and non-denominational worship opportunities. Bryce Canyon National Park– This park is home to some incredible scenery and trails such as Inspiration Point, Queen’s Garden and Mossy Cave. Zion National Park– This amazing park features stunning sandstone cliffs and narrow canyons as well as caves. Arches National Park– This park in eastern Utah offers unparalleled adventures year-round with hiking, rock-climbing, star-gazing and much more. Utah is a state full of amazing diversity and breathtaking beauty. With unlimited options for fun and adventure, Utah makes a great place for adult retreats and youth camps. With everything from skiing rugged mountains to squeezing through narrow canyons to floating in a warm, salty lake, Utah is sure to provide an unforgettable experience.